Victor Serge is fast becoming an author I turn to when I want a book that I know will be enthralling and beautifully written. After discovering him via his “Conquered City” in 2014, I was recently bowled over by “The Case of Comrade Tulayev”. And after spending some time in the rarefied world of (fictional) history (I’m reviewing a little out of order here), I felt that I needed to read something that dealt with the human side of the past and how it affected people on a smaller scale – so Serge seemed the ideal choice. “Midnight” is a story about exile; most of the action takes place in the Siberian town of Black Waters, where a number of political deportees have been sent. 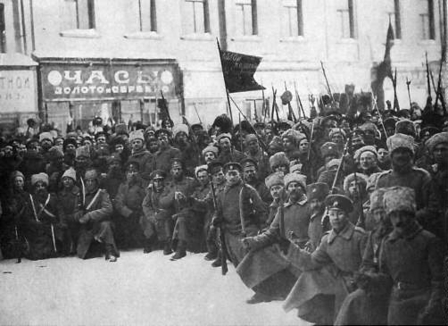 There is the old Bolshevik Rhyzik (who will play a crucial part in “Tulayev”); Varvara, determined yet vulnerable; Avelii, drawn to Varvara despite the risks involved in becoming emotionally attached; Kostrov, a late arrival, whose presence will have a destructive effect; Elkin, ex-president of the Kiev CHEKA; and young Rodion, a somewhat naive comrade who struggles to understand the dialectic behind the revolution. The little town is a strange outpost of the Soviet Union; built on a history of dissent, it still houses Russian Orthodox Old Believers whose faith is an anathema to the Communist authorities. A mixture of old ways and modern attempts at technology exist side by side, and the locals struggle to meet the quotas imposed on them for fishing and the like. The people here are still rooted in the land, and regardless of the political system imposed on them, their lives still go on much as they always have. The Trust occupied a long, narrow suite of rooms inundated by the ceaseless crackle of typewriters and adding-machines, on the corner of Prison Street over a co-operative full of useless neckties and tooth-powder which people used to whitewash the insides of their houses in the spring. Against this background, the political exiles struggle to maintain their belief in the revolution despite their betrayal and imprisonment. Items of news are smuggled in from outside; rumours of a Trotskyist organisation are whispered about; and they all try to make sense of what has happened to them and to anticipate the ultimate fate of the revolution (which they still regard as going on). But with spring comes another purge of sorts from the nerve centre of Moscow, and the exiles are arrested and imprisoned. Only Rodion is able to make a bid for freedom – but will he succeed? There is nothing left but our defeat, firmly accepted since it must be. For we can neither separate ourselves from the proletariat, nor disobey the truth, nor ignore the course of history. And for the moment the dialectic of history has placed us under the wheel. Life goes on, thanks to us. The victories will begin again when we are no more. Serge based the novel on his period of exile in Orenburg on the Ural river, and it’s an eminently readable and beautifully written book that really captures what it must have felt like living in exile. His descriptions of the landscape and the responses of the exiles to the land are evocative, and despite the darkness reaching out from Moscow into the Russian country, the book does end on a small note of hope. However, the power of the written word really cannot be under-estimated; many of Serge’s books which were critical of Stalin and his regime were published while he was in exile and associating with Trotsky. The latter was murdered in Mexico in 1940 by one of Stalin’s agents; Serge’s death in a taxi in Mexico in 1947, apparently from a heart attack, has sometimes been attributed to Stalin as well. “Midnight” was translated by Richard Greeman, who provides an excellent introduction and useful notes; and very sweetly, has illustrations by Serge’s son, who was an artist known as Vlady. To be honest, you do need a certain amount of knowledge about and interest in Soviet history to get the most out of Serge’s books, and it may be this that has stopped him being more widely read. That’s a shame, because his novels are shaping up to be some of my favourites and I’m really looking forward to my next read of Victor Serge. Thinking about it, I’m not actually sure what prompted me to pull “The Case of Comrade Tulayev” off the shelves right now; it’s a book I’ve had for a couple of years, gifted for either Christmas or birthday by Eldest Child, and it just called to me at the moment. Perhaps enjoying “Kolymsky Heights” gave me a taste for an actual Russian author! That really just scratches the surface as the excellent introduction to this volume makes clear. Serge had an exciting and active life, moving from country to country, and although he hated what Communist Russia came to stand for, he never lost faith in the force of revolution. 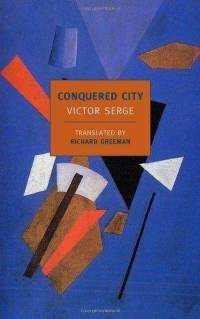 “Conquered City” was a powerful book, and one of the things which struck me about it was Serge’s wonderful use of language. That’s evident once more in “The Case of Comrade Tulayev”, an engrossing and beautifully written book with many layers. The story opens with us meeting two lowly Muscovite neighbours, Kostia and Romachkin. Both are poor and disaffected, living in a city where there are shortages and disease and discomfort. Romachkin, the elder, has a Colt pistol which he gives to Kostia; and in an unpremeditated action, when the latter spots Tulayev on the street, he recognises him as an unjust man who is involved in the current purges and shoots. Tulayev dies, Kostia flees and there is nothing to connect him to the murder and so he gets away scot-free. However, we are in Soviet Russia in the late 1930s, where purges and executions and conspiracies are the norm, and a culprit must be found. Those in charge find it impossible to conceive of any kind of random act of violence and therefore it must have been a plot and there must be conspirators. The apparatus of the Soviet state grinds into action, and the search begins for the perpetrators. What starts as a fairly simple story deepens as the tale develops, as there are a number of people involved with axes to grind. The younger party members use the opportunity to get rid of the older members, whose connections to the revolution go back a long way and who might have inconvenient memories. The repercussions of this one random act are far-reaching, like ripples in a pond spreading from the single point where a stone was dropped. The most unlikely people are suspected of taking part in the conspiracy and each chapter explores an individual’s life, beliefs and connections to Tulayev. Serge’s book is wide-ranging, encompassing just about every kind of Soviet citizen who could have been affected and laying bare the effect of the constant purges. There is the peasant-made-good Commissar, Mateyev; the Party functionary Erzhov; the high-ranking Kondratiev who flies off to report on the progress of the Spanish Civil War; and the old-guard theorist Kiril Rublev who sees everything with a very clear eye. Add into the mix the final part of the puzzle, in the form of the imprisoned and exiled Ryzhik, and you get the cast of characters who will be accused of conspiring to kill Tulayev – even though it’s impossible and untrue. For the State needs to have scapegoats and only a conspiracy will do; to admit that this was a random act by a nobody would be unthinkable. Ryzhik clearly deciphered the hieroglyphics (perhaps he was the only person in the world to decipher them, and it gave him an agonizing feeling of vertigo) — the hieroglyphics which had been branded with red-hot iron into the very flesh of the country. He knew, almost by heart, the falsified reports of the three great trials; he knew all the available details of the minor trials in Kharkov, Sverdlovsk, Novosibirsk, Tashkent, Krasnoyarsk, trials of which the world had never heard. Between the hundreds of thousands of lines of the published texts, weighted down with innumerable lies, he saw other hieroglyphics, equally bloody but pitilessly clear. And each hieroglyphic was human: a name, a human face with changing expressions, a voice, a portion of living history stretching over a quarter century and more. Each of the so-called conspirators actually has nothing to do with the death of Tulayev; each is inexorably drawn into it by the machinations of the various prosecutors and investigators, none of whom are safe from investigation themselves; and each of the accused deals with the situation in their own way. None of this is rushed, and Serge allows the story to unfold at its own pace; we see Kondratiev in Spain during the conflict (which helps us place the book a little more precisely), allowing his human side to come through at a great cost; we watch the rise of Mateyev and then the fall, as his native cunning fails him; we see Erzhov struggling to retain his privileges; we follow Ryzhik in and out of exile in Siberia; and we watch Rublev calmly continuing to work on his writings while in prison. All of these men represent the different types of Soviet revolutionary, and each is committed to revolution in his own way. Some of the men will perish, some will not, according to whims or connections or choices, and in many ways the acts of the state are just as random as the act of Kostia which started off the whole process. The case ramified in every direction, linked itself to hundreds of others, mingled with them, disappeared in them, re-emerged like a dangerous little blue flame from under fire-blackened ruins. The examiners herded along a motley crowd of prisoners, all exhausted, all desperate, all despairing, all innocent in the old legal meaning of the word, all suspect and guilty in many ways; but it was in vain that the examiners herded them along, the examiners always ended up in some fantastic impasse. “The Case of Comrade Tulayev” was a deeply satisfying book to read. Apart from the fact it covers a country and a period of history which fascinate me, it’s just so brilliantly written. There is a ring of authenticity about the book; with Serge’s long experience in Soviet Russia, you feel he’s drawing on his knowledge of what it was like to live through the horrors of the 1930s and his story never strikes a false note. His depiction of how it felt to live amongst the purges is unparalleled and I don’t think I’ve read a book that captures so well the mental twists and turns, the lack of trust amongst people, the small slips that can cause a person’s fall from grace. The characters are allowed to meditate on their lives and beliefs, and through them Serge explores what happened in Russia at the time. The book was composed in a number of locations, ending up with Mexico in the early 1940s, where Serge had fled; and there is the sense of the man looking back at the times he had lived through and measuring them. There is also a powerful portrait of Stalin, named only as “The Chief”, a constant presence throughout the book either in person, or as a whisper amongst people, or as a picture on every wall. Serge, of course, had plenty of personal knowledge of how it was to work under Stalin which only adds further credibility to the book. Nowadays, we all know about the purges and the executions that went on in 1930s Russia; but at the time Serge was writing this, it was not common knowledge and, as the introduction points out, if Serge’s book had been published when he wrote it, he would have been the first to break the news to the outside world; as it was, that honour fell to Arthur Koestler’s “Darkness at Noon”. What were needed today were books like thunderbolts, full of an irrefutable historical algebra, full of merciless indictments, books which should judge these days, every line of which should breathe implacable intelligence, be printed in pure fire. Such books would be born later. However, I keep going back to the quality of Serge’s writing, and that’s an important factor here that lifts the book above what could have been simply a political novel. Serge has a lyrical quality to his writing, almost impressionistic in places, and his characters are beautifully painted and ring true. Not all are party functionaries; Serge is equally at home portraying peasants and workers and clerks and everyday people, as well as the wider world. At one point, Xenia, the daughter of one of the investigators, is seen in Paris where she’s on a mission for the Soviets; her thoughts, the contrasts between East and West, and the belief that Russians still held in their revolution, are wonderfully realised. Yet Serge is clear-eyed about the faults of the Soviet system and brings plenty of wry sarcasm to bear. I chose yesterday for the visit as I was hoping the trains would be in sensible mode – for several months at the beginning of the year there were no direct weekend trains to London without hideous bus journeys – and they were pretty much well-behaved, if a little delayed. I could have done with the Central Line being open, though! After Foyles, we wandered down to the NPG and the exhibition – and it really was quite magical. I was keenest, of course, to see the famous Dostoevsky portrait in real life. It’s the only one of him painted from life, and it’s quite remarkable – you can see the sufferings of his life in his eyes. Who else was there? Well, amongst others Tolstoy, Turgenev, Mussorgsky, Tchaikovsky – and Chekhov! The latter’s portrait was also quite amazing – the best portraiture really does make you feel as if you’re in the presence of the subject. All in all, this was a remarkable exhibition – some wonderful and evocative portraits and a rare chance to see them in real life without having to travel to Russia. It runs until 26th June and I really recommend visiting it! The bookshop itself is gorgeous, with an excellent selection, some shelves devoted to small publishers and lots of chairs to sit in while you consider what to purchase. I spent a *looong* time browsing while J. sat and finished this book which she then donated to me – how kind! J. picked up a lovely little hardback collection of Akhmatova’s poetry but was much more restrained than I was today. After Piccadilly, we decided to head back to the Bloomsbury end of town, and fortunately J. spotted a useful bus! A quick visit to the Bloomsbury Oxfam revealed not a lot, and some very over-priced volumes – this is obviously a current trend on Oxfam shops which is a bit of a shame. So we decided to end the day with a cuppa in the LRB Bookshop cafe (they do *lovely* tea) and of course had a bit of a browse. I was particularly keen on looking for this title, which hadn’t been in either Foyles or Waterstones – but the wonderful LRB shop did have it! I’ve long been a fan of Russian literature – since I first studied the Russian Revolution in my teens and following on from that dragged my friends to see “Dr. Zhivago” at the cinema. Since then I’ve read a *lot* of Russian books, both classic and modern literature, but this is my first experience with Victor Serge. Which is odd, really, as I’ve been aware of his name for years – maybe it just took NYRB to reprint and bring him back to prominence. Victor Serge, born Victor Lvovich Kibalchich (December 30, 1890 – November 17, 1947), was a Russian revolutionary and writer. Originally an anarchist, he joined the Bolsheviks five months after arriving in Petrograd in January 1919 and later worked for the Comintern as a journalist, editor and translator. He was critical of the Stalinist regime and remained a revolutionary Marxist until his death. That really just scratches the surface as the excellent introduction to this volume makes clear. Serge had an exciting and active life, moving from country to country, and although he hated what Communist Russia came to stand for, he never lost faith in the force of revolution. “Conquered City” is an intriguing book, about a year in the life of occupied St. Petersburg during the civil war which followed the Bolshevik revolution and it’s certainly unforgettable. The first thing that hits you is the power of Serge’s prose. The book opens with a description of a wintry, frozen city where you can walk on the ice of the river and there are hardly any hours of daylight. There is instant contrast in the beauty of the language and the city, which is suddenly juxtaposed with filth, waste and dead bodies. The book follows the fates of several characters who are gradually introduced, often a chapter at a time, and whose destinies turn out to be intimately entwined. We meet hardened Reds committed to Marxism, romantic Whites determined to return Russia to its past, Greens living in the forest and trying to stay neutral, various other factions fighting for whatever aspect of the cause they deem fit, plus the ordinary people of the city who are simply trying desperately to survive. This is not an easy read, understandably. Any war is brutal; any civil war perhaps more so because the people fighting are countrymen. The Russian people had suffered years of deprivation in the First World War and entered revolution and civil war already exhausted and starving. The chaos that followed meant famine and disease ravaged the country and it must have been hard for the ordinary folk to understand why they were fighting and for what cause. But despite the horrors, this is a compulsive book. Each character is well-defined, clinging onto life in their own way, determined that their ideals will not be the ones which fail. There is Danil, the White soldier, who returns to the city on a mission and by his presence implicates and destroys his sister Olga; the scholar Professor Lytaev, who despite being imprisoned on very little evidence is content with his lot and can still believe in a better future; Zvevera, an unhappy and unpleasant woman who has found a niche in the new set-up and wields far too much power while reaping many benefits; the Communists Arkadi and Ryzhik who are colleagues in the struggle but are torn apart by the betrayal of another character; Xenia, who represents the young modern woman, in conflict with her mother over her beliefs, and sacrificing all for the cause. I don’t want to reveal too much of the intricate narrative as much of the pleasure in reading this book is watching events and connections unfold. The book is skilfully constructed so that each character is gradually introduced and their links with the others are revealed as the tale progresses. There are groups of women queuing outside shops who act as a kind of chorus, summarising what is happening in the city, as do the newspaper headlines and quotes, and the titles of proclamations displayed around the city. We watch human beings behave like monsters and many of them find this almost impossible to deal with; the emotional strain on them is enormous. However, the book is no blatant act of propaganda: we are shown the fact that there is corruption in high places and that certain types of people will always manage to find their way into privilege, whatever the regime. The common folk will still suffer and the devious clever ones will manage to manipulate things to their own advantage. The violence and the tragedy and the suffering inflicted on the innocent is never denied or hidden from the reader. Serge is a wise enough Marxist to recognise the flaws in the new dictatorship which has replaced the old one, and he continued to rail against this all his life. This a powerful, sad, stark, beautiful and moving work; I look forward to reading more of Victor Serge.